Conferred Centenary Medal for services to the community through the law. 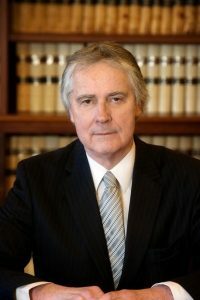 Practising as a Barrister primarily, alternative dispute resolution processes in all Australian States and Territories. Accredited mediator having completed in excess of 1,700 mediations since 1993 in most areas of civil law, including commercial, insurance, building and construction, equity, common law, and professional and product liability, involving disputes in Federal and State courts either pending or anticipated. Qualified Grade 1 Arbitrator after completing pilot university course in the 1990’s and has conducted numerous arbitrations since that time. Expert determinations and other ADR processes including neutral evaluations and facilitations, particularly in cases of continuing commercial relationships. Facilitation to assist decision-making by corporations or other bodies against the background of legal issues that might impact on the decision or the process. Also hybrid processes involving more than one of the above processes and on occasions comprising a panel with one or more experts from other disciplines.